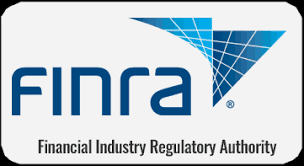 You've gotta love those people at FINRA, the regulator for the securities industry. When a number of executives at Credit Suisse Securities had their secretaries do their required compliance training for them, FINRA ruled that they had to give back a portion of their bonuses, as a penalty. As we always say, let the punishment fit the crime. Imposing a financial penalty, individually, for failure to participate in compliance training, is just that. Readers who wish to review the complete text of the FINRA Letter of Acceptqnce, Waiver and Consent may access it here.